Born in Oakland, CA, on July 24, 1953, Jon Faddis began playing trumpet at age eight, inspired by an appearance of Louis Armstrong on The Ed Sullivan Show. Three years later, his trumpet teacher Bill Catalano, an alumnus of the Stan Kenton band, turned the jazz- struck youngster on to Dizzy Gillespie. By his mid-teens, Jon had not only met Dizzy, he'd even sat in with his hero's combo at the famed Jazz Workshop in San Francisco. Upon graduating high school in 1971, Jon joined Lionel Hampton's band as a featured soloist and moved to New York. That same year, responding to an invitation from Mel Lewis to drop by the Village Vanguard whenever he got to New York, Jon sat in with the Thad Jones/Mel Lewis Big Band on one of their regular Monday night sessions. That sit-in turned into four years of Monday nights playing with the band, as well as a tour of the Soviet Union with the highly acclaimed unit. Jan also toured with Charles Mingus and recorded on the Pablo label with Dizzy and Oscar Peterson. Other highlights included filling in (at age of 18) for an ailing Roy Eldridge in an all-star concert led by Charles Mingus at New York's Philharmonic Hall; a Carnegie Hall gig with Sarah Vaughan; two years in attendance at the Annual Colorado Jazz Party where he was featured in a historic duet with Eubie Blake; performances with Gil Evans' and Count Basie's big bands; appearances at Radio City Music Hall and festivals here and abroad; and sitting in with Dizzy whenever possible. In light of these accomplishments  his recognition in the jazz polls, myriad accolades from the critical press, burgeoning numbers of international fans, heady praise from the likes of Diz, Mingus and Mel Lewis, and the pressure of public life  is it any wonder that a (then) 20- year old Jon Faddis opted for the sequestered life of the studio musician? However, those studio years ultimately proved significant in his artistic development. Exposure to a diverse spectrum of music helped shape him into the broad-based interpreter and (creator in) African-American idioms that he is today. Jon's distinctive trumpet voice would be heard on albums by performers as disparate as Duke Ellington, the Rolling Stones, Frank Sinatra, Kool and the Gang, Luther Vandross, Quincy Jones, Billy Joel and Stanley Clarke, to name a few. His horn was heard on the theme of The Cosby Show, on the soundtrack of Clint Eastwood's films The Gauntlet and Bird, and on many commercials. Jon Faddis had become one of the most in-demand session musicians in New York. A turning point was the invitation from Dizzy to accompany him on a visit to the White House in 1982. The occasion was an In Performance ceremony in which Dizzy and several other major American artists showcased young colleagues they believed to be on the verge of exceptional careers. Jon's participation in the event was apparently enough to convince him he had a lot more to offer than horn section lead on jingles, or the occasional solo (often uncredited) on a lavish studio production of a pop star. Within a year, he left studio life and was out on the club scene with a working group that included saxophonist Greg Osby and pianist James Williams. In 1987, Jon played the major role in organizing and rehearsing Dizzy's big band, the one that would celebrate the legendary bebopper's 70th birthday on tour here and abroad. Jon was a featured soloist and later assumed the same position as musical director of Dizzy's United Nation Orchestra, another international touring all-star group formed in 1989. In December 1991 Jon Faddis was appointed musical director of the Carnegie Hall Jazz Band, an 18 piece all-star orchestra which serves as a vehicle for some of the greatest names in Jazz to present concerts that are not part of their regular repertoire. The band made its debut in October, 1992, and released its first album on the Blue Note label in 1995. During the late nineties, Faddis toured with the Jimmy Heath-Slide Hampton-Jon Faddis sextet. He also played an important role in the development of the Trumpet Summit Band, which has featured a who is who of the current trumpet scene, from Clark Terry and Benny Bailey to Roy Hargrove, Terell Stafford and Nicholas Payton. Faddis has an enduring commitment to the accessible and quality education of young musicians, regularly leading master classes nationally and internationally. In May 2003, Faddis received Manhattan School of Music's first-ever honorary doctorate in Jazz Studies, becoming Dr. Jon Faddis. In 2002, he received the JD Award for excellence in teaching in New York City high schools; among numerous others, he has received the Milt Jackson Award for Excellence and Accessibility in Jazz. In 1999, Faddis became the first Artist-in-Residence at Purchase College (SUNY) where he continues to serve as Artist-in-Residence and Professor and is, as of 2002, Director of Jazz Performance at the Conservatory of Music. On December 6, 2002, Faddis informally premiered original compositions based on sixty-three works by Romare Bearden at the Neuberger Museum of Art at Purchase College. Faddis also serves on a number of boards and advisory boards, including The Commission Project, the Jazz Foundation of America, the International Trumpet Guild, the International Association for Jazz Education, and the Louis Armstrong Educational Foundation. Additionally, he is actively involved with Jazz Alliance International (among other things, serving in September of 2002, as Musical Director for a benefit and scholarship program honoring Fats Navarro). In October 2003, Faddis served as music director for the opening celebrations for the Louis Armstrong House & Archives, coordinating over 100 musicians, including over fifteen of the world's best trumpet players, in tribute to Armstrong. All About Jazz musician pages are maintained by musicians, publicists and trusted members like you. Interested? 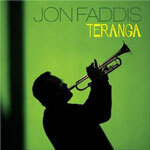 Tell us why you would like to improve the Jon Faddis musician page.